Voodoo Chronicles: The First Sign – Director’s Cut is a hidden object game parading as a point and click adventure game, that has been ported from the PC to the PlayStation Network. It puts you in the role of Detective James Voodoo as you investigate a series of mysterious attacks. It sounds interesting enough, right? Well unfortunately for a game with such a simple premise and concept, Voodoo Chronicles: The First Sign is an incredible mess. If this game is considered a Director’s Cut, I must ask the question; did they cut out all the good bits? What we have here is a case of a cheap port that had been given very little thought or care. To differentiate it from the PC version, the game can be played with both the Move controller or standard PS3 controller. Unfortunately the game is incredibly unresponsive to any manner of input, which of course makes what should be a very simple game a very frustrating game. 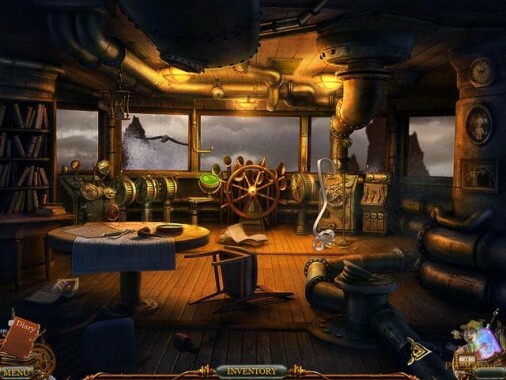 The majority of gameplay requires you to find an object within a still image, as one would see in a hidden object game (which this game really is). Troublesome as it may be the game doesn’t seem to like you playing it, requiring numerous clicks before it will register that you are actually clicking on the right item. The general lack of response to input it very frustrating and quickly becomes a great point of irritation. There is also a number of mini-games to be found within the ‘adventure’ which are also equally unresponsive to your input. There also appears to be a pesky lag when the game attempts to load or recognize that you have completed the puzzle. Which is of course just another part of the big problem with Voodoo Chronicles. The game is split into two main gameplay modes, Single player and Multiplayer. Both modes are afflicted with the aforementioned issues, but it is worth noting that there was one major problem I faced. There was no way to pause the game or to return to the main menu of the game, none whatsoever. In order to switch gameplay modes you must exit out of the game entirely and reboot it. A major issue to say the very least. 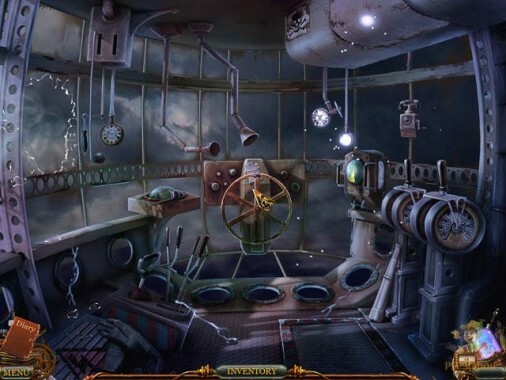 Single player mode follows the ‘story’ of James Voodoo but it is essentially just about moving from one hidden object puzzle to the next with a bit of story in between. The multiplayer mode cuts the formalities and serves as a straight up hidden object game played between two people. It also doesn’t help that there is no option to zoom in to look more carefully at things, which results in you having to come up close to your TV to look more closely. If you can look past the game’s obtrusive issues and have some patience about you, you might be able to tolerate it. The biggest problem of all with Voodoo Chronicles: The First Sign is that it feels like a low-budget online flash game. It is poorly produced and honestly just plain bad. I feel that this game should have simply stayed on PC, it doesn’t belong on the PS3. Aesthetically Voodoo Chronicles: The First Sign – Director’s Cut is pretty decent in all honesty. It has a nice level of variety to its environments, but there are a few odd graphical quirks and effects that seem rather misplaced. The art style is relatively plain all around, with a campy vibe to it. There isn’t anything technically wrong with the game graphically but it certainly leaves a lot to be desired. The soundtrack of Voodoo Chronicles is likewise meandering. It’s a tempered pedestrian musical arrangement with little to no flavour. Echoing every other facet of this game, there is nothing special here. It’s tepid at best. What we have here is a relatively broken game, that is more frustrating than it is anything. The most disappointing thing about Voodoo Chronicles: The First Sign – Director’s Cut is that is so simple that it couldn’t possibly fail, but somehow – someway – it did. It’s not that the people behind the game didn’t try, this game is something, but it just isn’t good. Despite the fact that the game isn’t anything special, it is hard to go wrong at this price point. Voodoo Chronicles: The First Sign – Director’s Cut is a cheap game in every sense of the word, both in price point and quality. In that respect it may be worth a purchase if you can get past its issues. If you can’t look past it, then it’s best to just avoid this game.